Egypt's parliament – the House of Representatives – said in a statement Friday afternoon that it expresses regret that Roberto Fico, speaker of the Italian parliament (chamber of deputies) announced that it has decided to suspend parliamentary relations with the Egyptian parliament until the on-going investigation into the death of the Italian student Guilio Regeni reaches a conclusive result. "This is a premature and unilateral decision that does not serve the investigation into the death of Mr Regeni," said the statement, adding that "Fico's decision also represents a jump into a hasty conclusion and does not serve the objective of revealing the truth and reaching justice on this case." Egypt's parliament said "it is committed to the rule of law, not intervening in the work of the investigation authorities, and so unilateral measures do not serve the interests of the two countries." Guilio Regeni, an Italian student who was preparing a thesis on Egyptian trade unions, was killed in Cairo in January 2016. There were several press reports that he was torture before he was murdered. Regeni's death led Italy to summon its ambassador from Cairo, but it decided to send a new ambassador this year due to a positive progress on the case. A number of top-level meetings between Egyptian and Italian officials in the past few months said they were highly satisfied about the progress of the investigation into Regeni's death. A number of senior Italian officials, including president of the Italian chamber of deputies Roberto Fico, also visited Cairo one month ago, with all of them heaping praise on the cooperation between judicial authorities in Cairo and Rome over Regeni's death. Egypt's president Abdel-Fattah El-Sisi met Italy's prime minister in Sicily this month, with both also insisting that they are keen that investigation into Regeni's death reveal the truth and refer murderers to justice. The statement of Egypt's parliament on Friday said the relations between Egypt and Italy are historic and strong at all levels. "So we are highly surprised that Mr Fico issue such regretable statement and take such unjustified decision on the part of the Italian parliament," said the statement. "It is also surprising that this statement comes after Egyptian and Italian prosecution authorities held a joint meeting to complete the mutual cooperation on the investigation into Regeni's case." "In this meeting, the two parties exchanged viewpoints in a positive climate and assured that the investigation is progressing in a very constructive way, and that they are determined to continue on this cooperation until they reach a final result and a suitable decision in the near future and in line with judicial efforts," said the statement. The statement added that the Egyptian parliament is committed to the principle of the rule of law, and the necessity that investigation goes forward in a climate of integrity and neutrality, and "without politicizing legal issues." "In this light, we see that the statement issued by president of the Italian parliament represents a unilateral and premature behavior that does not serve the interests of the two countries and does not contribute to securing the goal of reaching the truth or achieving justice, particularly as the cooperation between the Egyptian and Italian prosecution authorities is remarkable and unprecedented," said the statement. 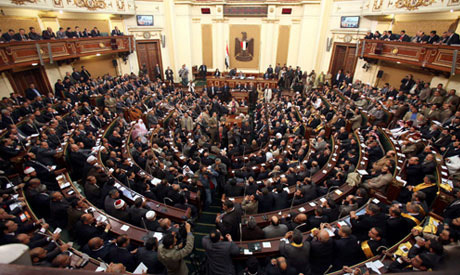 Egypt's parliament stressed that it is highly necessary that no party jumps into conclusions in line with international standards followed, and in line with all legislations and law in this respect. Egypt's parliament said the Egyptian statement has a sure interest in revealing the truth about Mr Regeni's murder as this crime was committed on the land of Egypt. "The Egyptian state at all levels was keen to stress this fact, not to mention that it was also reiterated by speaker of Egypt's parliament during his meetings with Mr Fico in both Rome and Cairo," said the statement, concluding that "Egypt's parliament urges that investigation into the case takes its course in line with the principle of the rule of the law without exercising influence or intervening in the work of investigation authorities." The statement said "we stress again that as the Egyptian-Italian relations are so deep, it was necessary that the Italian parliament does not jump into hasty conclusions or takes a unilateral action on a criminal case which is still under investigation and a matter of complete cooperation between concerned authorities in the two countries."